The Gabonese government on Tuesday accused the French company Veolia of pollution on its soil. The move follows the cancellation of water and electricity distribution contract by the Gabonese government. The French distribution company has denounced the move as a “brutal expropriation”. 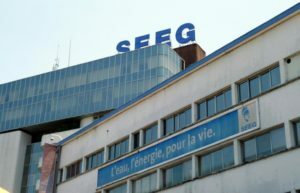 Since the termination of the contract, Veolia and the Gabonese government have been involved in a bitter dispute. Veolia ensures that the rules of the initial contract in terms of state investments “have not been respected”, while Gabon claims that nearly 1,000 billion CFA francs (€1.5 billion) were invested by the government. The company, which provides water, waste and energy management services in numerous countries is blamed by Gabonese authorities for the numerous power cuts and shortages in Libreville and other regions of the central African nation. A Veolia spokesman told AFP the company had been audited by Gabonese authorities more than 10 times over the last decade. Gabon has been hard hit by a more than 50-percent drop in oil prices since 2014 as well as its struggle to diversify the economy away from oil. The central African nation’s economy is projected to grow at a faster pace of 2.2% this year. Posted by Geraldine Boechat on March 1, 2018. Filed under News. You can follow any responses to this entry through the RSS 2.0. Both comments and pings are currently closed.